We at N-Sight Consulting have built numerous web sites for varying purposes. Examples include e-commerce sites, informational sites, sites for not-for-profits, etc. Many of our sites feature database connectivity, including Microsoft Access, FileMaker Pro, and SQL. A small sampling of our web design work is presented below. 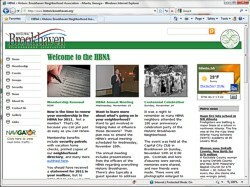 This site was developed for a neighborhood association in Atlanta to allow its members to keep up with local events, manage their membership information, sign up and pay for various activities,purchase neighborhood merchandise, and notify the local security patrol of vacations, etc. The site uses both FileMaker and Microsoft Access databases, accepts dues payments and sells merchandise using PayPal, features live news, weather and traffic feeds from various local sources and includes dynamic menus. 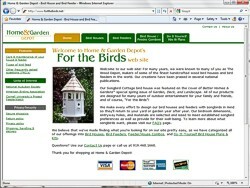 This web site was developed for a North Carolina-based manufacturer of high-end wood bird houses and bird feeders. The purpose of this site is to allow the company's customers to purchase their products online as well as to provide customer service and educational links. The site includes an online catalog and processes credit payments using PayPal. Services Used: Logo design, web design, web graphics, copy editing, e-commerce, online forms, web hosting, e-mail administration. This web site was designed for an organization that operates multiple summer camps for youths age 7-17. 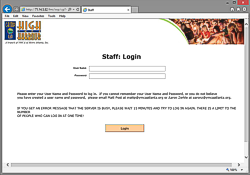 In addition to connecting the organization's registration web site MySQL database to a FileMaker database, we created a second web site that allows hundreds of staff members to register, log in and manage their information as well as receive updates on their assignments, training, etc. supported by a FileMaker database. Services Used: web design, online database, e-mail admin. 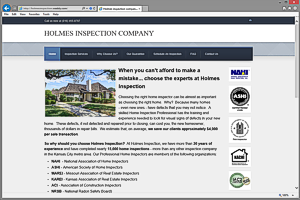 This Kansas City-based home inspection company was seeking a web site to showcase their company's services and long history as well as to provide valuable information to its clients, both existing and potential. They also were looking for a conduit to allow users to set up and schedule their own inspections as well as to retrieve their inspection reports when completed. The web site we created does all of that and more and features educational videos,downloadable documents, and online registration, allowing our client to set themselves apart and gain a competitive edge over competitors. This web site was designed for a retailer who wanted to extend their presence from their physical store to the web. 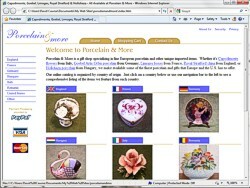 This web site was featured on Microsoft's web site as an example of an e-commerce site built with Microsoft technologies. This site includes an extensive online catalog, the ability to process credit card payments using PayPal, and a console so that the store owners can update the contents of their online catalog from day to day. 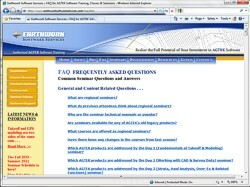 This site was created for a company engaged in software training. It allows users to get information about the training classes and seminars being run and to register online. Services Used: Web design, web graphics, copy editing, online forms, interactive graphics.